The University of Illinois College of Agricultural, Consumer and Environmental Sciences alumni bring honor to themselves and their alma mater through many ways. The ACES Alumni Association celebrates alumni who have demonstrated outstanding professional achievement, or through outstanding leadership or service have significantly enhanced or improved the lives of others. Nominate an outstanding alumni today! Nomination forms can be found here. 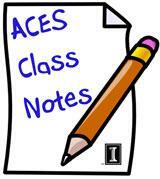 The ACES Alumni Board of Directors is seeking candidates for six open positions on the board. District 8 Director - Representing Clark, Clay, Coles, Crawford, Cumberland, Edgar, Edwards, Effingham, Franklin, Gallatin, Hamilton, Hardin, Jasper, Jefferson, Johnson, Lawrence, Marion, Massac, Pope, Pulaski, Richland, Saline, Shelby, Wabash, Wayne, White, and Williamson. For more information on these roles, visit the ACES Alumni website for role descriptions. Applications are due October 21, 2013 to Tina Veal, Director of Alumni Relations at vealt@illinois.edu. Join your fellow University of Illinois alums for a great evening in Houston, TX! Find out updates on the Department of Food Science and Human Nutrition and Dietetics program. Meet Justine Karduck, didactic program director. RSVP to Marla Todd at martodd@illinois.edu or 217-244-4498. Registration at AND FNCE not required. You're invited to join fellow Field and Furrow alums for a reception and tours of Turner Hall for a special event during Homecoming weekend. Tour Turner Hall from 4 to 5:30 p.m.
Pinot Noir and Sauvignon Blanc will be served as well as passed hors d'oeuvres during the social hour. A dinner buffet featuring locally sourced foods will follow. RSVP by October 15 to Denise Dalton at 217-244-3980 oracesadvancement@illinois.edu. Please provide your current email address and phone number with your RSVP. 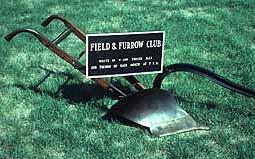 We invite you to share your fondest memories from your experience as a Field and Furrow member. This evening is sponsored by Field and Furrow alumnus Dr. Larry Hageman. Homecoming at University of Illinois is one of the best college traditions in the country—we hope you'll make plans to be a part of it this fall! Wear your ORANGE with pride and celebrate Homecoming the weekend of Oct. 25. While you're at it, why not invite a few friends from the old days to join you? There's a lot to see and do, so be sure to check the Homecoming calendar regularly as you make your plans. To keep up to date with all activities visit: admin.illinois.edu/homecoming/index.html. At the ACES College Connection event in September, four board members were recognized for their outstanding leadership to the ACES Alumni Association Board of Directors and will complete their terms in December 2013. All four board members have served on the board since 2006. The College of ACES Alumni Association hosted the second annual ACES Round Barn Society reception on Friday, September 6, 2013 at the I-Hotel and Conference Center. Over 100 attended the event to network and welcome new Round Barn Society members. We also welcomed President and Chancellor Circle members for a joint reception this year. 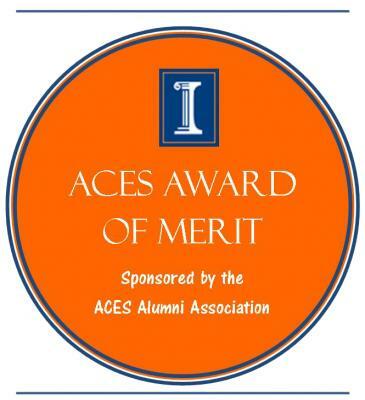 A new class of members were inducted into the society, which included those ACES alumni that have received University recognition from the University of Illinois Alumni Association awards, outgoing ACES Alumni board members and charter members not yet pinned. Kenny Eathington, ACES Alumni Board President provided an update on the alumni association activities. Sue Gray, ACES Alumni Board Awards Chair, and board members recognized and pinned the new Round Barn Society members. Following the pinnings, Dean Robert Hauser provided a college update and engaged alumni in a question and answer session. It was another wonderful evening to be an ACES Illini! Emily Heaton, B.S. '01, Ph.D. '06 Crop Sciences of Ames, IA. Nathan Matusheski, Ph.D. '03 Food Science and Human Nutrition from East Hanover, NJ. Susan Zaripheh, M.S. '03 and Ph.D. '05 Nutritional Sciences from Forest Park, IL. Salute to Agriculture Day tailgate was held on Saturday, September 7, 2013. Approximately 500 alumni and friends joined us to celebrate agriculture! Representatives from the College of ACES, Illinois Department of Agriculture, Illinois State FFA officers, and 4-H Leadership Team members were involved in the program. A live auction was held to raise money for the 4-H and FFA Foundations, and the Orion Samuelson Scholarship Program. Special thanks to our Illinois Agricultural Commodity Groups to make this event successful! The University of Illinois tent at the IL Farm Progress Show was a great success this year with over 20 exhibitors there to greet many alumni, friends, and prospective students to the tent and learn about the college! Orion Samuelson hosted his radio program each day interviewing guests and even signed his book "You Can't Dream Big Enough" during the three days at the show. Todd Gleason hosted the market reports during the afternoon and many alumni stopped in to say "GO ILLINI!" ACES student Ashley Nagele represented Illinois in the International tent and visited with many international guests visiting the show. You can see Ashley interviewed on the RFD Network online. On September 17, over 90 ACES alumni gathered at Wyffels Hybrids production plant in Atkinson, IL to tour the facility operation including seeing all stages of production from delivery of ear corn, husking and sorting, drying, shelling, conditioning, and the distribution warehouse. Following the tours and dinner, the program consisted of a welcome and overview of Wyffels Hybrids by Jacob and Blake Wyffels. College of ACES adminstration provided updates from the college including German Bollero, Crop Sciences Department Head and Bob Hauser, Dean College of ACES. Holly Spangler hosted the event as the District 3 ACES Alumni Director. Special thanks to alumnae, Mitch Heisler, Jacob Wyffels, Matt Carton and Blake Wyffels for assiting in the planning of the event. Save the Date for ExplorACES! The rankings are in! The College of ACES has 115 instructors who merited inclusion in the Spring 2013 List of Teachers Ranked as Excellent by Their Students. In this official kickoff to Homecoming, alumni around the world are asked to volunteer in their communities in the name of Alma Mater Oct. 18 and throughout Homecoming Week. The event dovetails with UI Student Service Day, which also takes place on Oct. 18. 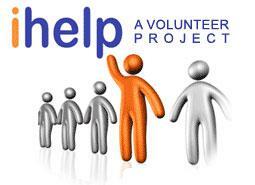 Volunteers are urged to pledge service time online, and send photos and videos of their activities. Learn More. This fall's Alumni Career Center webinars are now open and FREE for graduates of all three campuses (Illinois, UIC and UIS). Learn how to get started on LinkedIn and create an effective résumé, and get other job-search tips simply by going online. Sign up today!